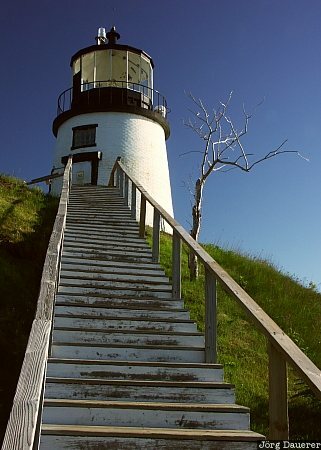 Owls Head Light Station and the wooden stairs leading to the lighthouse illuminated by warm morning light. Owls Head is in central Maine at the east coast of the United States. This photo was taken in the morning of a sunny day in June of 2004. This photo was taken with a digital camera.